Thursday, Oct 11, the OP meets Easy Star All Stars and Aggrolites at Reggie’s Rock club! 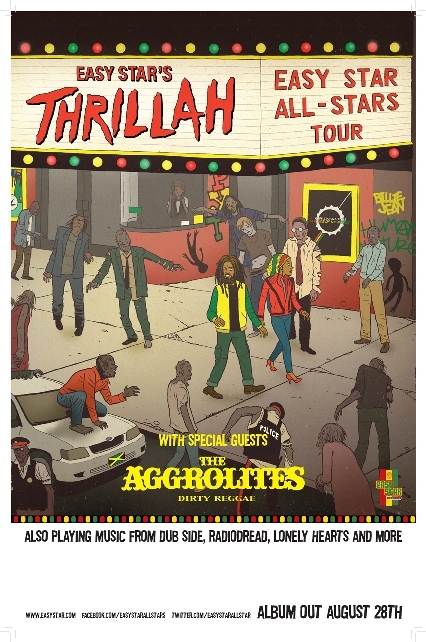 ESAS is touring in support of their latest take on Michael Jackson, with Thrillah. Should be a great night of reggae and afrosounds – doors at 7pm, we go on at 8pm. DJ Chuck Wren spins as well!